In 1997, Esther, the CEO of ENCO Communications and Public Relations Company SA, encountered Nkothi an orphaned child leaving with HIV. Nkothi shared the story of his life with Esther and though too young to understand HIV/AIDS, he succinctly related the ailments he was going through to those that his late father and mother went through before they passed on. Nkothi was not sure of many things in his life; the source of his next meal, the date of his next admission to hospital or his next friend to desert him but he was certain of one thing; he was in the right path on the same journey his departed parents took. This encounter touched and changed the life of Esther. She shared this experience with her colleagues and they immediately started charity activities in Zandspruit and spreading out targeting those who were either infected or affected by HIV/AIDS, under the Nelson Mandela Children’s Fund and ENCO communications corporate social responsibilities program. This initial reaction was pure philanthropic and as the needs grew it was found necessary to take full responsibility and invest in sustainable initiatives. 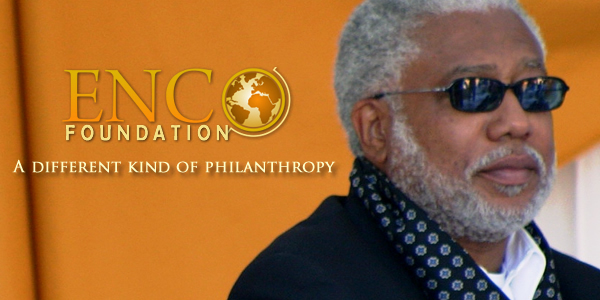 In January 2011, these activities were institutionalised with the registration of ENCO Foundation, South Africa. This initial encounter with vulnerable women and children exposed the Foundation to the glaring vulnerability of individuals and communities in Africa that denied them a life of dignity, respect and self-worth. At the same time, it revealed enormous potential, opportunities and beauty in the people and the land of Africa seen in diversity of cultures, youthful population, hospitality, natural resources, climate and generosity. This culminated to unique programs to empower individuals and build self-reliant communities. Since its inception, the foundation has touched lives and transformed communities in partnership with global leaders like Oprah Winfrey and Nelson Mandela led by able stewardship of Esther Nyarwai. people’s capacity for self-determination and organisation. approaches and strategies that recognise and promote universal human rights. innovations that are sustainable and anchored on local realities. to recognise and add value to interventions by Country’s government and other stakeholders on the ground . to international, regional and local conventions and treaties that promote advancement of a just society, equitable and sustainable development . the rights of the vulnerable people and marginalised communities and promote progressive cultures.